Groceries and food budgeting tends to be a common problem for many people. It can be difficult to get a handle on your food spending, especially if you have a restricted diet or if you are trying to focus on organic and healthier options. If you have expensive food tastes, you may also find that you are struggling to keep your food budget under a specific amount. However, if you are trying to reduce the number of times you eat out each week or the amount you spend on food overall, you can do this by planning out a monthly menu. This helps you to stick to your budget. The first step is to list meals that you would like to make. Most people have an arsenal of meals they enjoy eating or cooking. If you can compile these into one place, it becomes much easier to plan your menu and organize your shopping list for the week. If you make the same food every month or every week, you may run into appetite fatigue, which can cause you to start eating out again. It is a good idea to rotate through your menu or to try something new every week that you can. If you need help finding recipe ideas you can check out online sites such as the ones here. Once you have a list of meals that you can pull on, you can begin planning your menu in one of two ways. 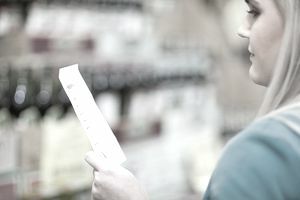 One is to look at the sales papers or the websites of the grocery stores to find out what types of meat and produce are on sale, and then to plan your menu around that. Another option is to just plug in the meals you want to eat for the month, assigning each meal a day of the week. If you do this, you can plan ​the more labor-intensive meals for the weekend or on the days that you will have more time to cook. You can use slow cooker or make ahead recipes to use on the days you know you will come home late from the office. Then you can compile your grocery list based off of the menus that you put together for the week. Personally, I like to create a monthly or bimonthly menu once a year. I then compile a weekly menu and shopping list and do not have to worry about planning outside of that menu. I create a new plan when my family begins to get tired of the food and wants more variety in the food. However, since I am planning thirty different meals, it does usually take an entire year for that to happen. I can just print out the shopping list for the week I am on. I can also shop ahead with sales and stock up when the right cuts of meat go on sale. It saves me both time and money. The challenge for this weekend is to create either a two-week or monthly menu complete with a shopping list. If you find that you do not have time to shop, you can enter your list online and have someone at the store complete the shopping for you. In fact, many stores will allows you to label and save lists, which can save even more time in the future. Although you may pay a small service fee for this, the time you save, and the impulse purchases you avoid may make it so you come out ahead. You can employ other strategies for saving on groceries, as well.You may also want to look into a menu planning service to help you save money. Simply planning out your menu and shopping is not enough. You need to get in the habit of making the items on your menu. If you are too tired when you get home from work, try to do most of the prep in the morning. Or if you are not a morning person, you can prep in the afternoon or the evening or on the weekend. Most vegetables will keep if chopped in a little bit of water for a few days. You can also take your leftovers to work, which will save you money and allow you to eat healthier, as well.